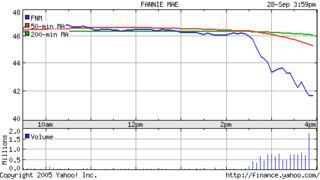 While Freddie Mac is undergoing a multiyear balance sheet revision that ties up about a third of its staff, Fannie Mae surprised investors yesterday with a 10-percent plunge. 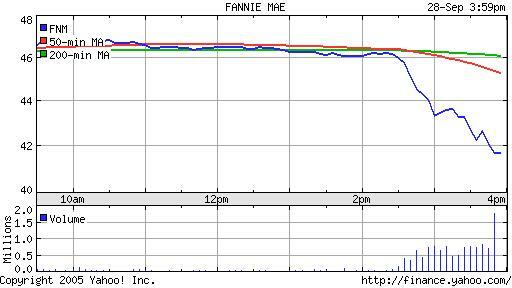 Anybody heard anything lately that Fannie Mae will have to revise its books too? What does the share price development want to tell us? Maybe some problems in the mortgage market? Extremely educating weblog, bookmarked the web-site in interest to see far more!